Wifi hotspots are used for sharing internet or give local access to many devices wirelessly. You can make a hotspot with some commands on command prompt, but it is more secure than to use a secure software Connectify Hotspot. Connectify hotspot is a very secure and easy to use program. Its user interface is just fantastic. You have just to enter the SSID of your wifi hotspot, a secure password, select the internet adapter you want to share and click Start Hotspot. It possess Stealth Mode in which no one can ping your hotspot, can't access your computer locally, hide your system from traceroute which don't let the user get your system's real address. Download Connectify hotspot 8 on your computer. 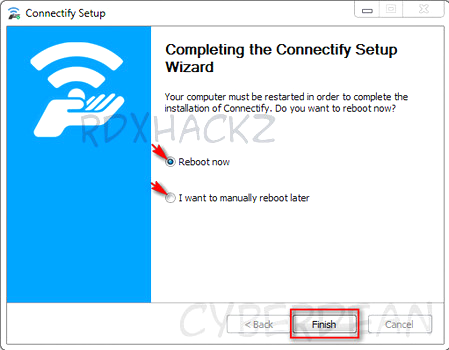 Install connectify hotspot, select reboot later when asked. 3. Before running the program, download Connectify 8 Crack to make Connectify Professional. 4. Run the Crack file , click Activate Pro and wait for completion. 5. Your computer will restart afterwards. 1. Run Connectify Hotspot 8. 2. In the window, fill the fields Hotspot name, Password. 3. Enter your hotspot name in Hotspot spot name field. 4. Enter secure & strong password for your wifi Hotspot. 5. The software will automatically detect the adapters, but you can also manage them manually. 7. Connect with any device and enter the given password to connect.